Ask the Blogger (New!) « Watching Those "Who watch the Deniers"
The discussion here may be long and involved, so if you are looking for a brief, light read, this may have no interest to you. I’m trying this as an experiment and if it proves useful, I’ll leave it up. I think you’ve found the right mascot. 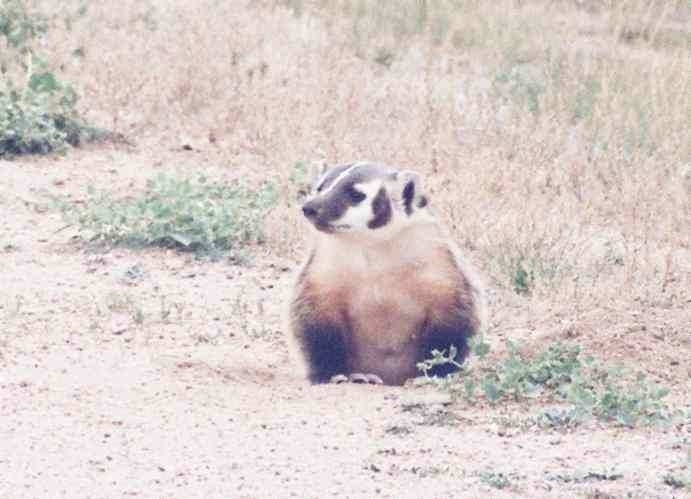 Real badgers seem to be the more cuddly version of wolverines. Now that’s one ornery beast. We in the northeast have had an influx of their tree-climbing cousin, the fisher. One attacked a friends cat, who fortunately is a tough customer and held his own until a family member chased off the fisher. Colloquially, they’re called fisher cats, although they are weasels not cats. So what is it about badgers? Also, the previous post on WtD (Watching the Deniers—now shut down)has a picture of a badger and says “You have angered the badger”. I wish to formally protest using such a sweet, adorable (though somewhat testy) animal for climate science propaganda. It’s one thing to pull in hapless, apathetic humans. Leave the badgers out. Badgers understand life and live it as it comes. They don’t call one another “deniers” (so far as we know). They don’t spout meaningless statistics (97% OF THOSE WITH AN OPINION NOTED IN A JOURNAL PAPER agree with AGW. So that would be what, less than 1% of the population of the United States. Less than .1% of the world population? That’s not really impressive.) On behalf of badgers everywhere, I ask that climate change scientists refrain from drafting innocents into their crusade. The badgers deserve better. As you can probably tell, my favorite creature is a badger. I added scientific badger as a way of countering WtD’s badger usage. Yes, I added the badger into my crusade, but I’m right! 😉 He’s scientific and well-reasoned, not snarly and ill-mannered. I actually started out with my web page “The Accidental Conservationist” which was looking at changes in Wyoming. This morphed into “Why Not Wind” where I started addressing the problems with wind turbines. Then came this blog. I hesitated before starting here, knowing global warming is much more contentious than wind energy or conservation. However, it’s an important topic which needed addressed. The “Watching the Watchers” blog was just the final little push to get me started. Over time, I’ve become more comfortable with the subject and enjoy writing about it. 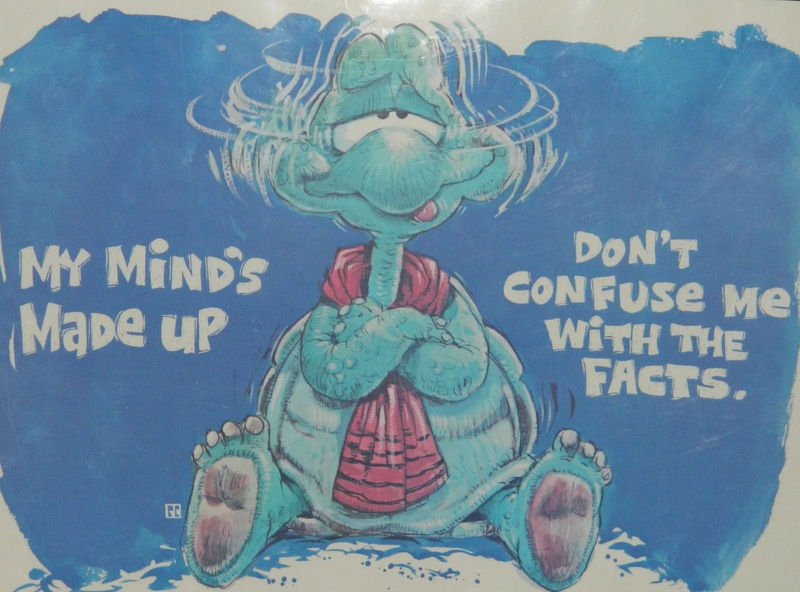 One of the first blogs I began reading about global warming was “The Inconvenient Skeptic”. He’s a very nice guy and he remains that way through all of his writing and blogging on global warming. I hope to do the same. Thanks for the details. To reciprocate, my very first brush with climate research was reading a 1976 paper in Science on proof of the Milankovich theory of ice ages. Two years later through an extraordinary coincidence I was working with the multi-institutional research group that the authors were part of. I’ve long since moved on professionally, but have kept up with the field and found the sceptic blogs a decade ago. I was one of Anthony Watts’ “screeching mercury monkey” SurfaceStation Project volunteers. I envy your access to wild lands. I imagine the trout fishing is fabulous. First time visiting here. Like your comments at Briggs’ blog. Love the badger. We don’t have any here in southern New England, just CAGW politicians. So, one climate questions to start: how did a nice person like you getting involved with this crazy topic? Besides watching the watchers, that is.